From their Facebook page please “Like” it. Epiphanize- to be made aware of the exhilaration of conservation and functionality. Installs in 5 minutes. Automatically saves up to 40% of shower water. 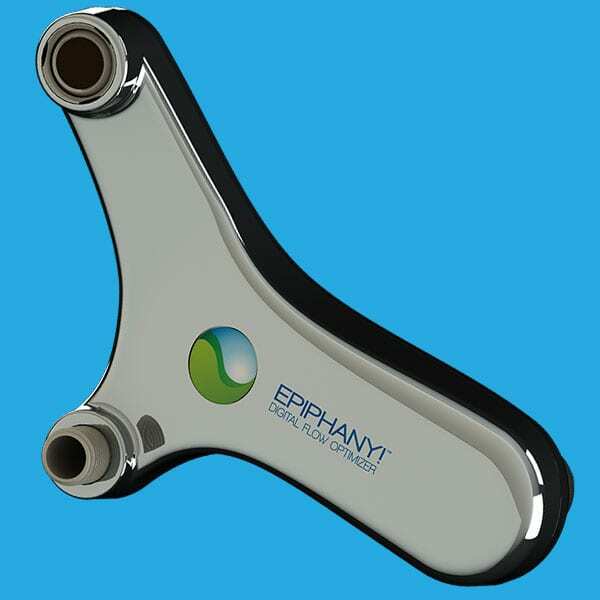 The Epiphany!™ Shower System is the first in class alternative to traditional low flow shower heads. Working as a system between the shower arm and your shower head, the EPIPHANY!™ let’s you control your own shower experience while saving you money, water and energy. Conservation without compromise? Absolutely!With the Epiphany!™ Shower System you save up to 40% on your shower without giving up performance. Save money and the Planet? Absolutely! With the Epiphany!™ Shower System you don’t do anything different. Just take a shower. It is completely automatic. Nothing to give up, nothing to learn? Absolutely! Learn more at their site Intelligent Green Products. “Coveted Sustainability” art show opening on Final Friday, July 25 here at our LEED Platinum office in Over-The-Rhine Cincinnati. The show will run until Final Friday August 29. We will be displaying the most famous bicycle in North America, a hand made walnut tandem bike ridden across the US by the father son team who built it.